Repetitive Motion Injury: Is this You? You suffer due to repetitive motion, our repetitive motion injury attorneys at Koszdin, Fields, Sherry & Katz Law firm in Van Nuys can help you. Home > Blog > Repetitive Motion Injury: Is this You? On behalf of Koszdin, Fields, Sherry & Katz posted in Repetitive Injuries on Saturday, October 06, 2018. When you find something you love to do, you typically want to do it all the time. You want to repeat what you love. This is the same for your job, whether you love it or not. We have the same behaviors that we repeat on the daily. For example, think about the repeat actions you make when you enter your place of work. Do you sit in your chair first? Do you lean against your desk? Do you type on your computer in a certain way? Let’s say you work in a job with more mobile demands. In retail, are you wearing the same shoes every day? Are you standing in the same spots with the same posture in order to fold the same sweaters? Health care workers have the highest “non-fatal occupational injuries” equating to about 20% of all workers compensation claims. In part, because they deal with moving patients on the daily, but also because they suffer due to repetitive motion. Health Care Workers, like sonographers, are the most likely to deal with Work-Related Musculoskeletal Disorders. These are injuries that happen in the shoulder, neck, hands, wrists, and fingers. These injuries can increase over time and become more severe. The most common causes of musculoskeletal disorders are poor or static posture, repetitive movements, amount of grip and use of force, psychosocial factors, and workload management issues. 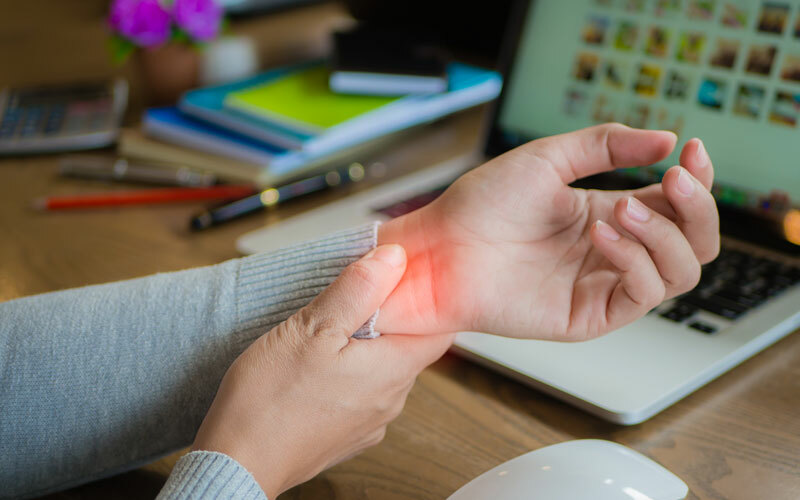 Some of the symptoms that come from musculoskeletal disorders are pains, aches, a stiffness of joints, pins, and needles, and/or tingling or burning sensations in the injured areas. Some who experience these kinds of disorders end up in such chronic severe pain that they may have to leave their job for an extended time or quit. This pain reduces their ability to work to full capacity. It makes it harder for people to carry on with their everyday lives. When you are dealing with a repetitive motion injury it is commonplace to think that it is your own fault; you chose the job and this is the natural consequence. This may be true, but the truth you really should be considering is how much your employer is helping you deal with your injuries. Our repetitive motion injury Attorneys in Van Nuys at Koszdin, Fields, Sherry & Katz Law firm are here to make you feel whole again. We understand the value of your job and its importance in your life. We have been in the business of workers compensation for 50 years. We have the experiences and resources to make sure that you are fairly represented as well as fairly treated by your employer. We are experienced in articulating the causal connection between your injury and your work conditions. With us, on your side, we will ensure that you get the financial compensation for medical treatments or full disability benefits, and/or change in employment expectations in order to keep your job. Give us a call at 818-812-5639 or click here for information on how we can help you today.